hope you all have a wonderful holiday weekend in store! i am thrilled to be attending the kate spade opening par-tay tonight, and am headed to central(ish) kansas tomorrow for my first kansas state football game in years. quite thrilled. so i won't be dressing up. but if you are, you have to show us on monday! 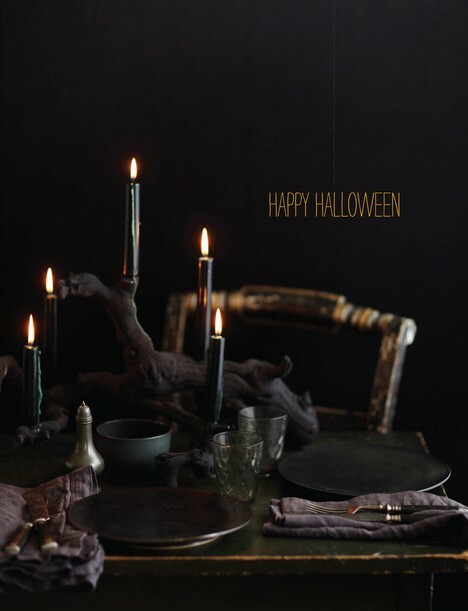 Love the spooky table. Sounds like you have a great weekend planned! Have fun at the game (I'm jealous)...GO STATE! Sounds like a fun weekend :) Enjoy ! !